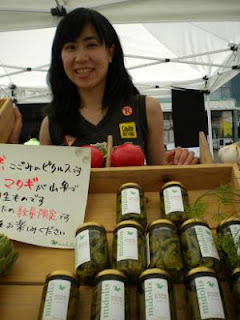 Ishimori-san and her amazing pickles at the UNU Market! The challenge for this weekend is deciding which great market to go to. Ebisu to Nippori to the UN University Night Market to Koenji's little set of stalls shoppers will find unique offerings in a great atmosphere. Maybe flip a coin? Or go a little crazy and try one on Saturday and another on Sunday? Really, the possibilities are endless!